a fat joy in the chapel Chance. without fire, sad in mind. 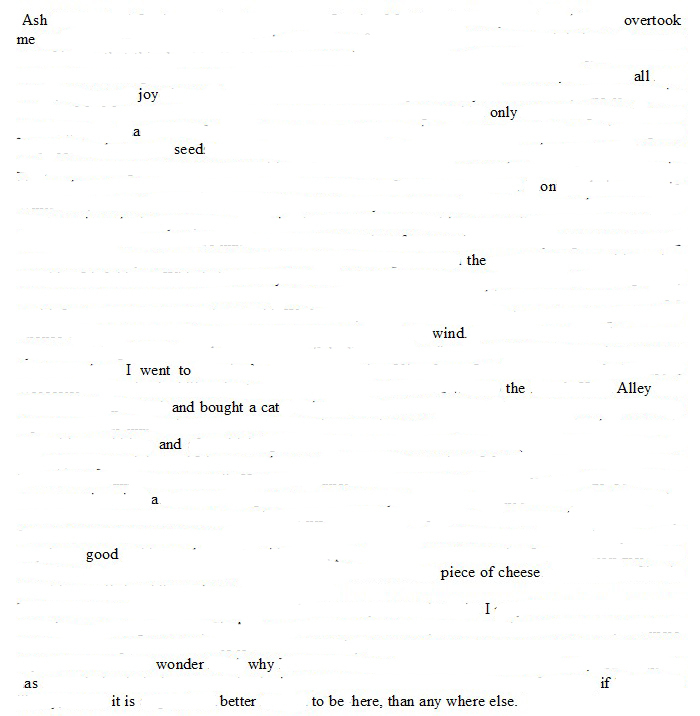 Erasure poem derived from The Diary of Samuel Pepys, Friday 16 March 1659/60. that I have to the brave. 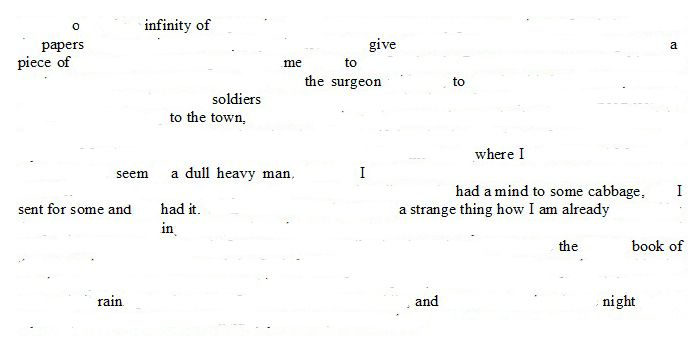 Erasure poem derived from The Diary of Samuel Pepys, Thursday 15 March 1659/60. 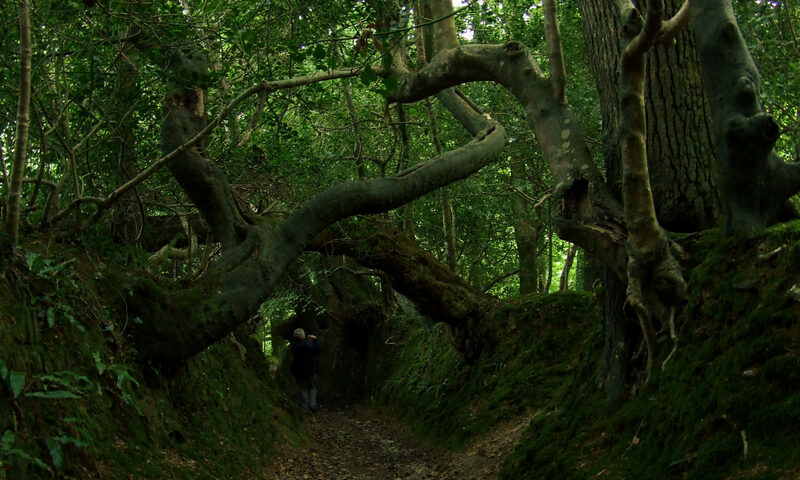 where I seem a dull heavy man. I sent for some and had it. 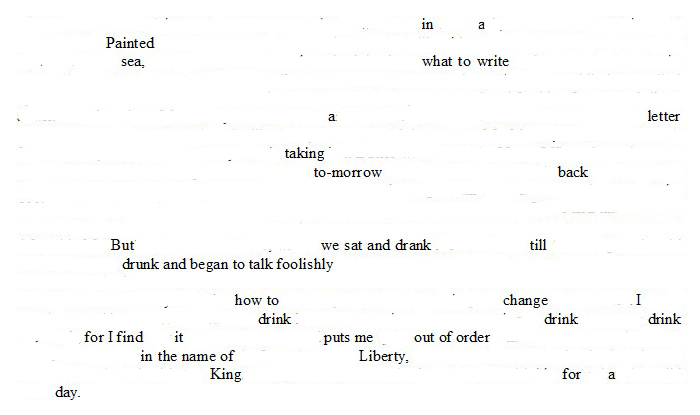 Erasure poem derived from The Diary of Samuel Pepys, Wednesday 14 March 1659/60. 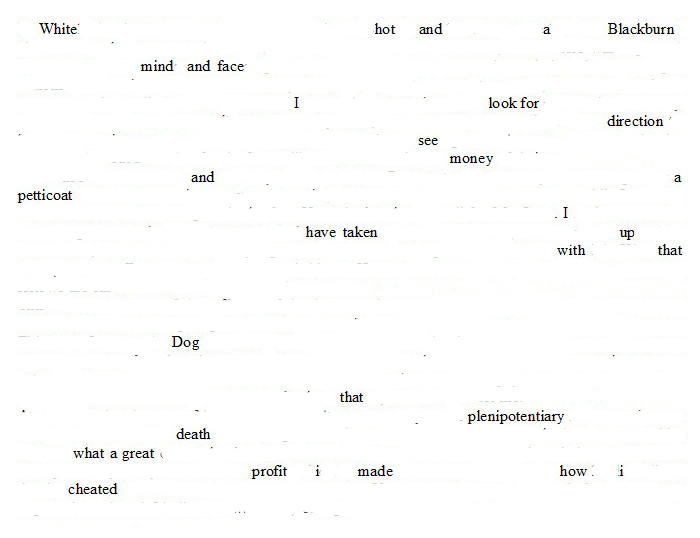 Erasure poem derived from The Diary of Samuel Pepys, Tuesday 13 March 1659/60. 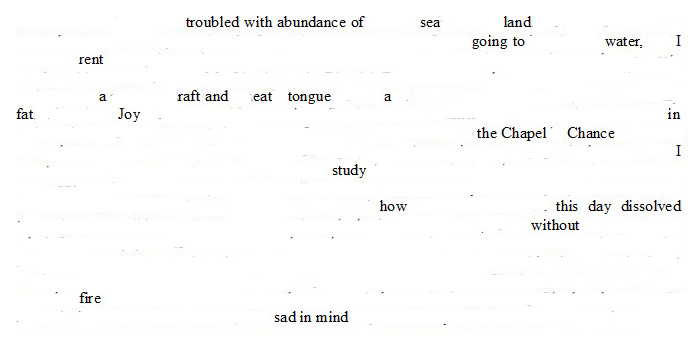 Erasure poem derived from The Diary of Samuel Pepys, Monday 12 March 1659/60. see money and a petticoat. What a great profit I made. Erasure poem derived from The Diary of Samuel Pepys, Thursday 8 March 1659/60. only a seed on the wind. and a good piece of cheese, I wonder why. Erasure poem derived from The Diary of Samuel Pepys, Wednesday 7 March 1659/60.